Residential Dumpster Rental Drop Off! Residential dumpster rental can be a huge hassle in Tampa, FL. You have to go through a chain of brokers who all take a “small fee” for their services. In the end, you spend a lot of money trying to get rid of your junk. 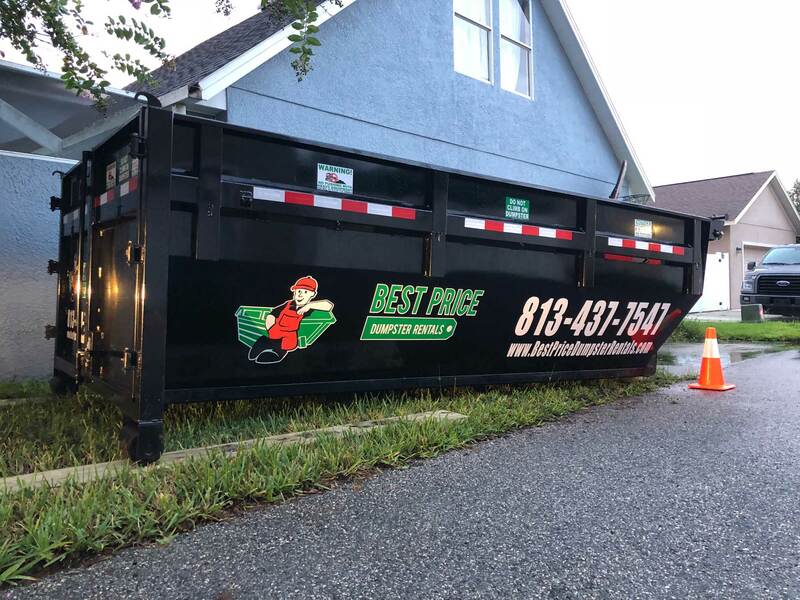 Never fear, Best Price Dumpster Rentals comes with Residential Dumpster Rental options that are both accessible and affordable. Call Best Price Dumpster Rentals today and schedule your dumpster rental. Answer a few straightforward questions regarding your dumpster rental requirements, and we will deliver a residential dumpster to your doorstep. Answer a few straightforward questions regarding your dumpster rental requirements and we will deliver a residential dumpster to your doorstep. After your scheduled residential dumpster rental time is up, we will collect our dumpster, garbage and all, for zero additional cost. All charges are included in our initial quote. By cutting out all the middlemen, we make our residential dumpsters for rent in Tampa, FL affordable for all. Getting an affordable residential dumpster rental in Tampa, FL is not a difficult feat anymore. We will collect your garbage in such a way that it causes no mess at all. At Best Price Dumpster Rentals, we have dumpsters available for all kinds of rental requirements in Tampa, FL. Tell us your specific requirements, and we can get your dumpster delivered to your doorstep. We have had a lot of service requests regarding residential dumpster rental over the past few years. 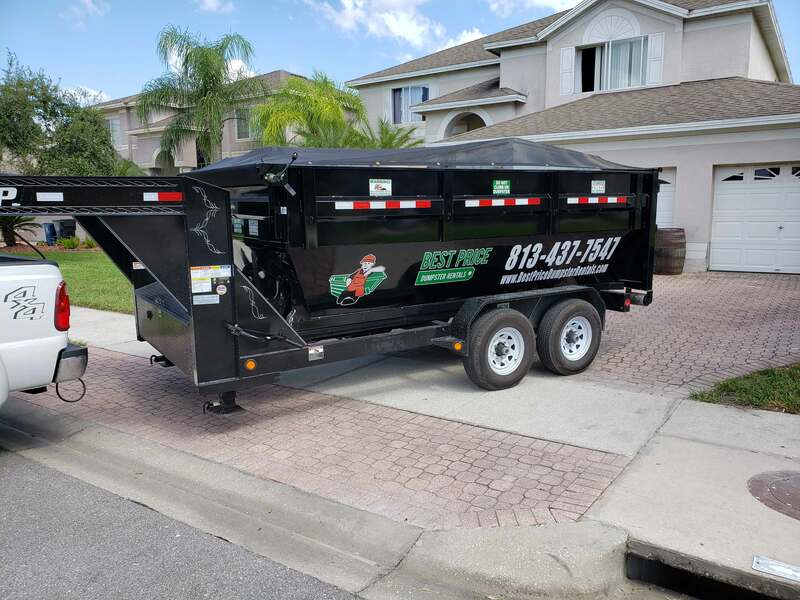 In theory, renting a dumpster might seem like an unnecessary process; especially because the usual procedure for renting a dumpster in Tampa, FL is so complex and long-winded. But, in reality, there is no way to get past the fact that dumpsters are a basic necessity. 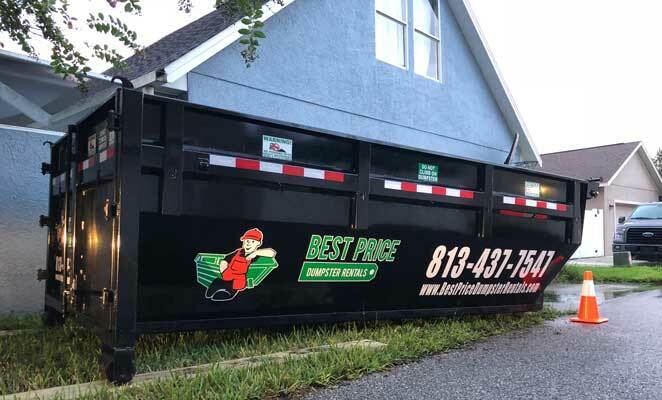 At Best Price Dumpster Rentals, we address the need for residential dumpster rental services in Tampa, FL by providing the right solutions at the right time. There is also no complicated billing process. The only extras that we charge are for the extra weight of junk or an extended rental period of the dumpster. 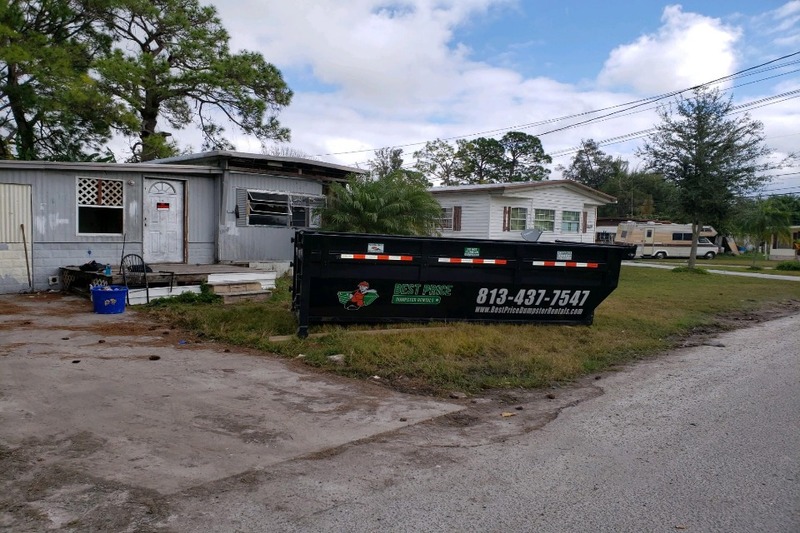 Get a Residential Dumpster Rental for in Tampa, FL. Commendable Professionalism: We are known all across Tampa Bay for our professional attitude. Most of our clients come to us through quality referrals. Our approach is always positive, and our waste management experts will provide useful and friendly help. 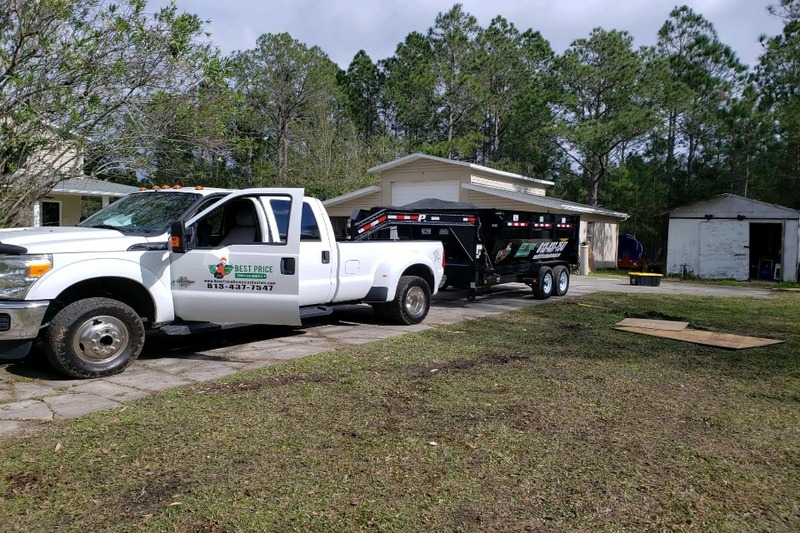 Call our trash removal experts today to find out how well we can serve you in Tampa, FL. Vast Network: Tampa Bay is only one of the regions that we serve. We offer our residential dumpster rental service for residential purposes in all surrounding cities as well. It is a matter of professional pride for us that we can provide our wide array of rental services across a huge geographical area. If you are not entirely certain if we serve your exact location, you can leave us a message. Our waste management experts will get back to you with a definite answer. Affordable Pricing: We understand that waste management is something that affects everyone. 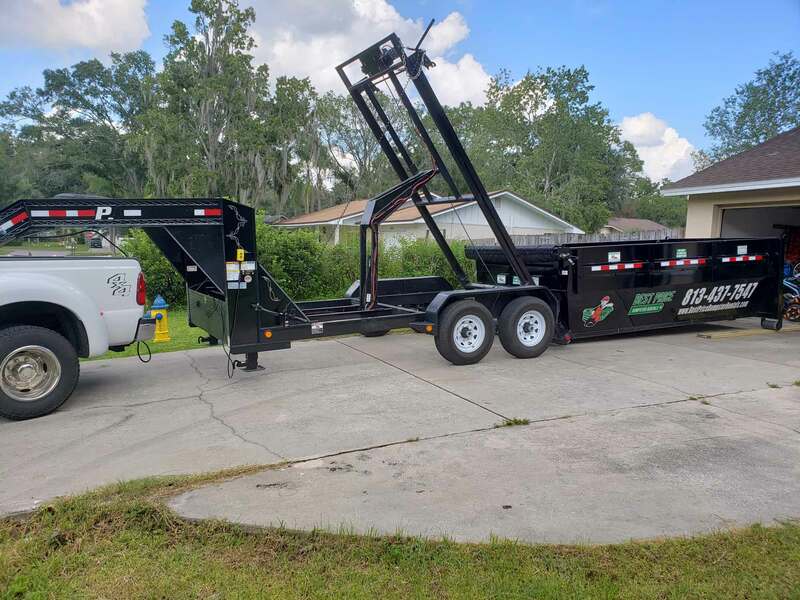 For this exact reason, we have made our dumpster rentals as accessible as can be so that everyone can utilize our residential dumpster rental services. We clear up health hazards and waste material so that you can lead a better lifestyle. We offer a lot more than affordable choices of dumpster rentals in Tampa, FL. At Best Price Dumpster Rentals, we offer a free consultation. Make the most of it and figure out your dumpster rental needs with the help of our waste management consultants. Once that is done, sit tight – we will send you a free quote as soon as we can. What is the cost of a dumpster and how long can I rent it for? The cost of the dumpster is dependent on two things – the size of the dumpster and how long you rent it for. Check out our price list for full details. There is no upper limit as to how long you can rent the dumpster. We charge according to the time slot for which it is being rented. If you need to keep it for longer, we charge a small extra on the basic price. What happens when the dumpster that I have rented is full? At Best Price Dumpster Rentals, we have carefully thought out every eventuality. If your dumpster is full, give us a call. We will be glad to take away the old one and replace it with a fresh one. How do I schedule my dumpster rentals? Call up our waste management executives to get a detailed quote and schedule the dumpster rentals. The entire schedule is pre-ordained and predictable. Does extra weight mean extra charges? Yes. If you exceed the weight limit on your dumpster rental, we charge you a small fee on the additional tonnage. How do I find room for the dumpster rental? Our executives will help you identify the best place to store the dumpster. Additionally, we will help you get the best fit for your situation. No worries, Best Price Dumpster Rentals has got your back. We are here to guide you, help you, and discuss your concerns and questions. Contact us today and get to know your local quality and trusted residential dumpster rental service provider!